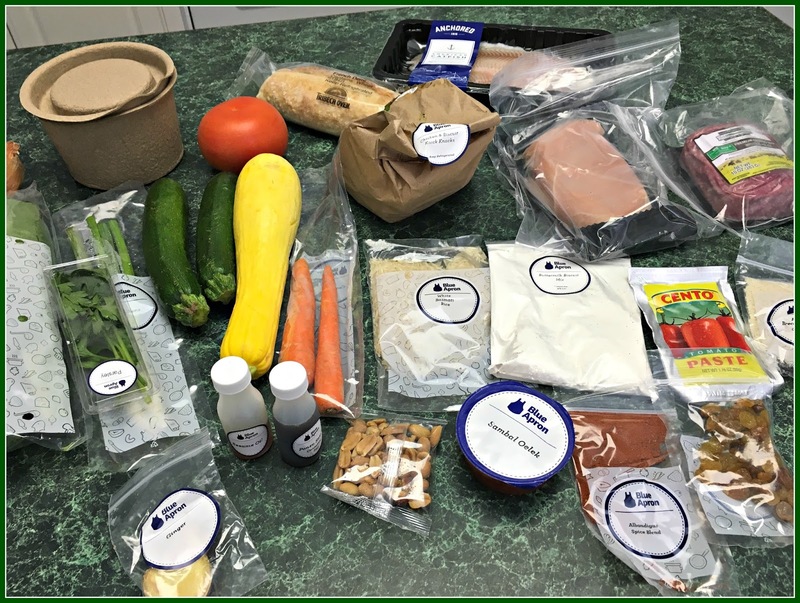 Have you tried one of the meal kit delivery services out there? Over just the past several years, this industry has sprung up, now delivering millions of meals a month across the country. Blue Apron, Plated, Peach Dish, Hello Fresh . . . there's many choices out there. And growing. The market is expected to grow by $3 to $5 billion in the next 10 years. Its appeal, of course, is the convenience of not having to shop for or plan meals. You still have to cook. 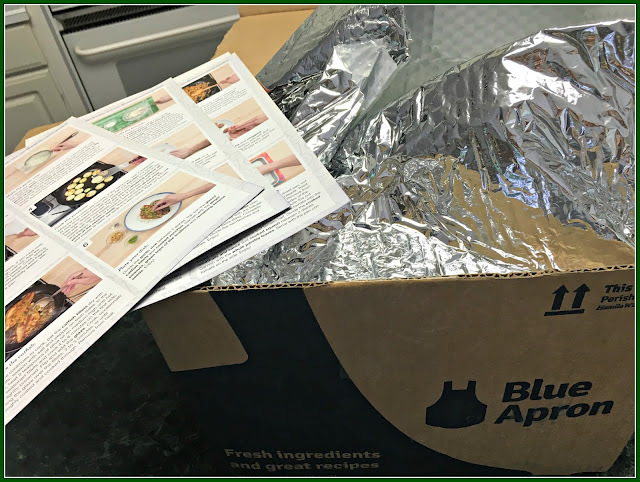 But you get a box containing fresh ingredients for (usually) three meals each week delivered to your doorstep, complete with detailed, illustrated recipe cards to follow. 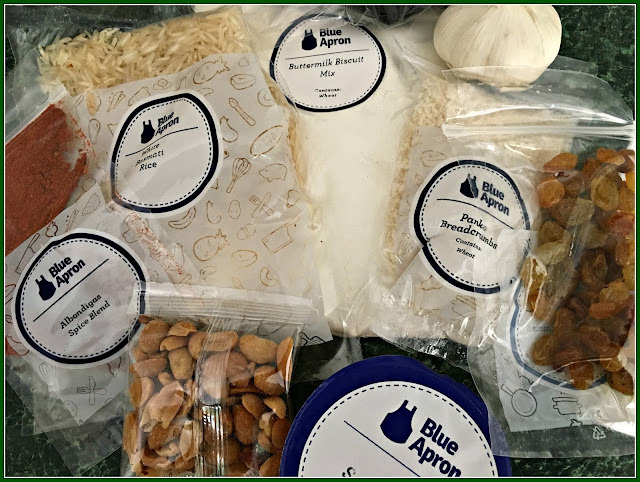 I recently signed up for Blue Apron, the "oldest" kid on the block (started in 2012). I picked them mostly because they were one of the most well-known services, and also a little less expensive than a few of the others ($59.95 a week for three meals for two persons, or about $10 per serving; I got $30 off my first order). Well, I can cook much more cheaply than that, but I thought I'd give it a try just to see what the hype was all about. You can order one week, skip the next three if you want, order the next week, etc. No obligation to buy each week. So, you can see what's on the menu, and what's on your schedule, and order accordingly. Fun to have dinner arrive on your doorstep. Inside each box is an insulated bag and a couple large freezer packs to keep things cold. All the food is portioned, so there is no waste. For example, on the right above is a little packet of golden raisins. I would probably not make a recipe calling for golden raisins because I never have them on hand and wouldn't want to buy a whole box just for one recipe. But here, you get only what you need. No waste. Packaging waste is another story. A big criticism of these kits is the amount of packaging. 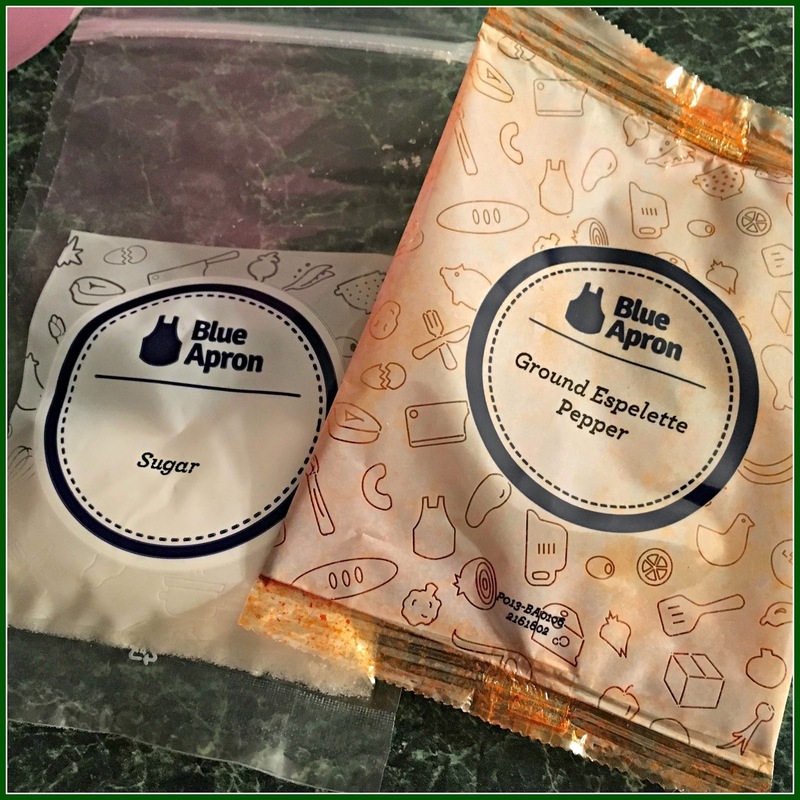 Some companies do better than others; all of Blue Apron's packaging is recyclable, but I still feel guilty using those little plastic bottles filled with a tablespoon of rice vinegar or soy sauce. The only ingredients you need to have on hand are oil, salt, and pepper. Everything else, including a couple tablespoons of butter, if needed, or a teaspoon of red pepper flakes, is included. I've received two shipments so far. The produce is fresh and locally sourced. It feels a little silly to get this white sugar, when I have several pounds of it here in my pantry. However, the Espellete pepper is something new to me; I will be using it to make a piperade, a traditional Basque dish from the western Pyrenees. The recipe cards are printed on nice heavy cardstock, and include photos and very detailed instructions. 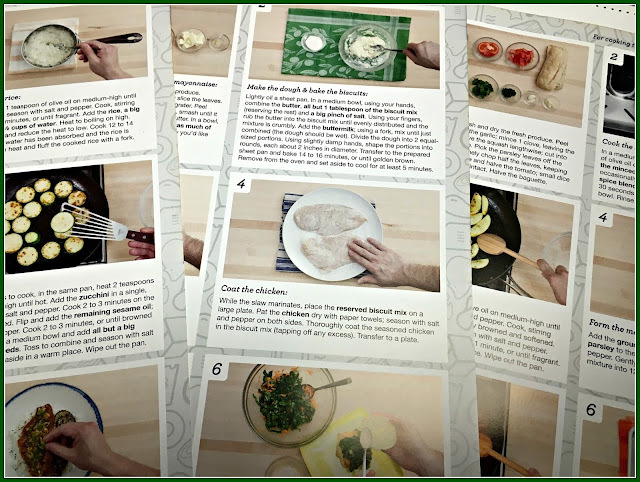 There are instructional videos on the Blue Apron website for the novice cook, including things like how to dice an onion. Even experienced cooks can pick up a tip or two. And I really like trying dishes that use ingredients that I would not have gone out to buy just for a weeknight dinner for my husband and me. Like the piperade. 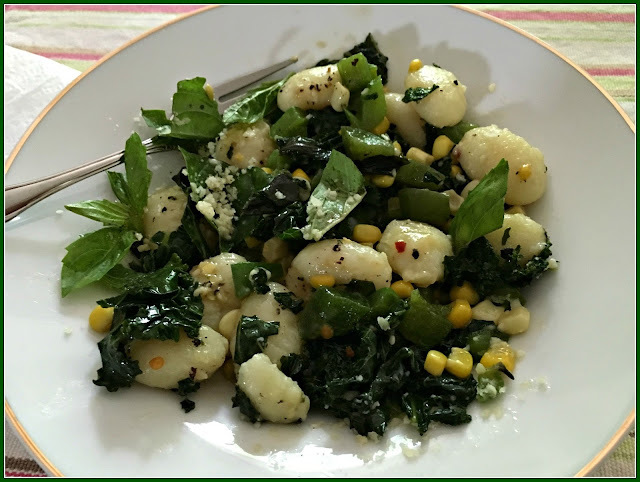 Or even the gnocchi, pictured above. 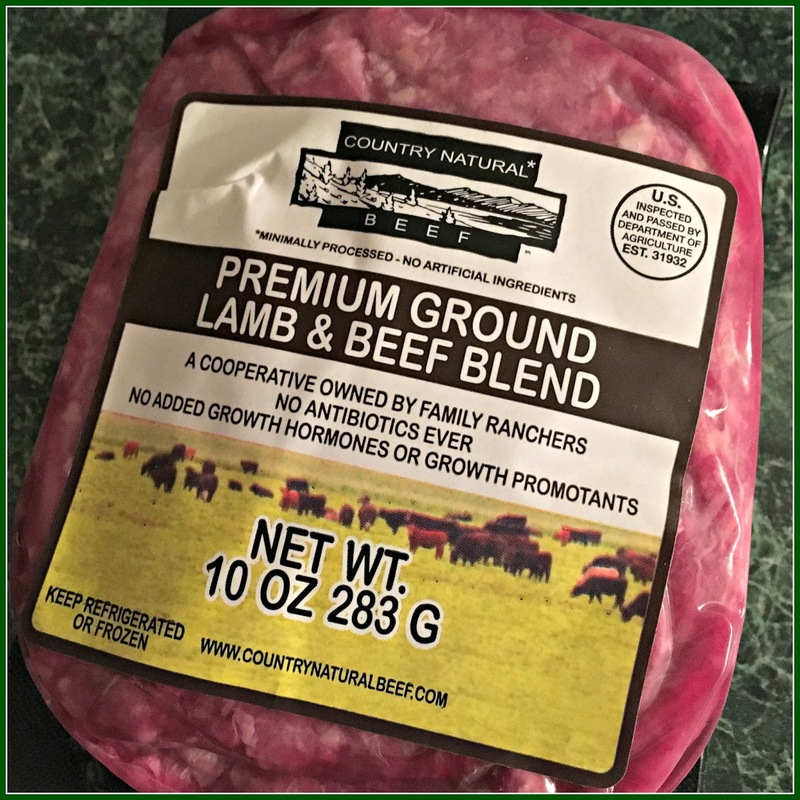 So, at this point, I will probably order a box every few weeks or so, just to add a little variety to our roasted meat/veggie standby meals, and to try some new things. It's still cheaper than going out. I may try another company, too, just to compare. One that appeals to me is Peach Dish, a southern company offering updated (think healthier) Southern cooking, using fresh, locally sourced ingredients. Their meals look delicious, and I've read some good reviews. How about you? Have you tried one of these services, or would you? I never have and oh my word how awesome for the exhausted career gal, newlyweds, the widow, the recently moved, the home with company coming, and.....THE RECENTLY GIVEN BIRTH mommy! I think for a newlywed and for a new momma this is the perfect gift. 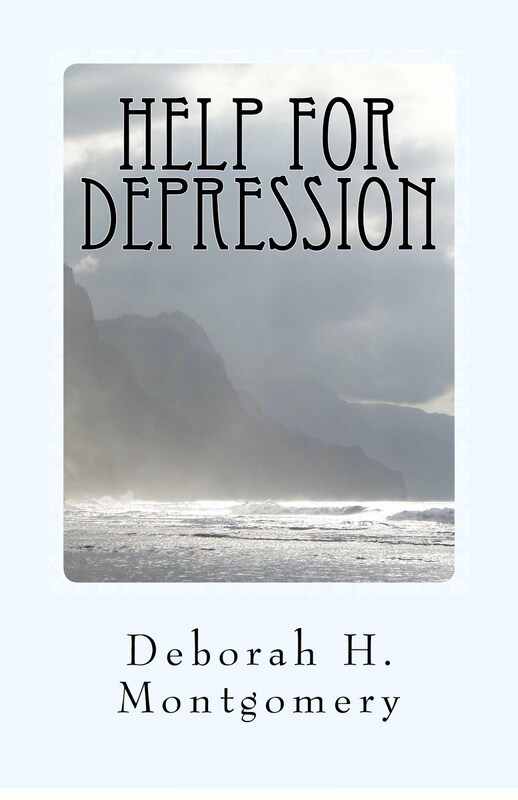 i *REALLY* APPRECIATE* this post, Deb - I never knew how it worked and I am convinced to trying it. They need to give you a free month or something, seriously! And I bet those little plastic jugs are great for travel bottles, beads, nuts and bolts, ect., Bet there's plenty of re-use purpose to them! 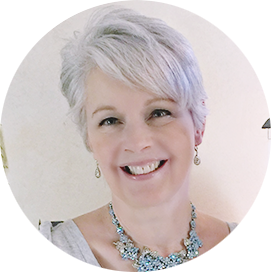 Add their web site url to your post so they know where all the traffic is coming from. I have been tempted, but I doubt I would have signed up prior to reading your post. This seems to be made for a recent divorcee like myself. We have something similar over here but have never considered using it, it certainly would make a nice gift though. Nope...never tried them either but the food looks delicious! My hubby is a simple meat and potatoes kind of guy so I doubt I could make a believer out of him. I would love it though. Thanks for all the great information...great post! Thinking of you as the countdown approaches to the wedding. I see these advertised but I doubt that I would ever try them. John is diabetic and is also on a no salt diet. Most days, we do not even eat the same thing at any given meal. If I were younger, I think I would love to try new things and pick up some good tips. Let us know if you try the southern service. No I have never tried any of them and for sure will not in the future. Minimal processed I read on the meat and the sodium content is not visible but I guess that is 'deadly' for my CKD stage 3. Also the amount of protein is off as I have to limit the intake. So the best way is to make your own meals, buying healthy fresh ingredients that are not processed at all and if possible don't contain any sodium. Also the price as you already stated and above all, it would make my heart bleed when looking at all the trash it creates. By far not environmentally friendly. Interesting to see and I better leave it at that. Hi Deborah! No, I've not tried Blue Apron, but my youngest son and DIL have and they liked it. However, my son now is trying Freshly, because his wife is out of town a lot, and with their 20 month old to watch after he gets home, he doesn't have time to fix the Blue Apron meal. With Freshly, the meals come prepared and he doesn't have to do anything, which is helpful for him. I have always wondered about these companies, but have never tried one. I have, however, tried something else. It's a local company called Dinner Thyme Solution. Basically, you go to theit store, you prepare your meals from the ingredients they have bought, then you put them in containers to take home to your freezer. I can make 8 meals in about an hour. All the shopping, cutting, chopping, etc. is done by them, and all the clean-up too. I may have to do a small amount of prep when i actually prepare the meal. 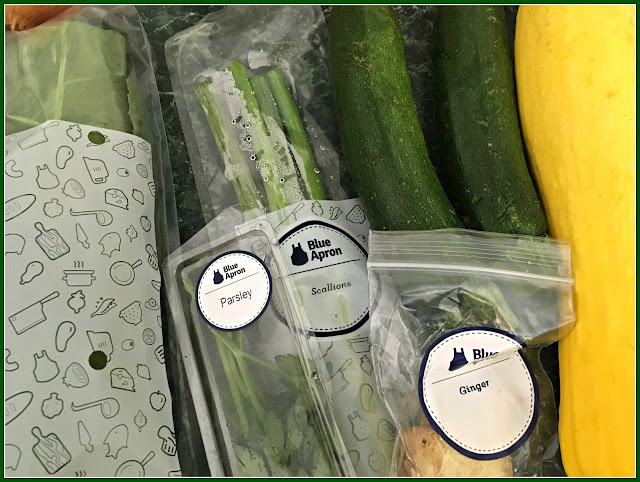 thanks for this highlighting Blue Apron. I've enjoyed learning more about it. How funny. Shortly after reading this, I went and checked my email. My Living Social deal today is for $30 off a Hello Fresh experience. I may give it a try. I mean a $30 savings is worth it. Hi Deborah, Wow that first dish looks delicious! I have not tried this but it looks interesting especially if you have house guests and need a few meals ready to prepare. I also have tried Blue Apron, Debbie. My reaction was the food tasted amazing and the plating looked quite similar to the beautiful one in their photo! However, my kitchen was an absolute mess and while the instructions were detailed, I had to read and re-read to make sure I was doing it right. Perhaps I was a bit ADD and had a focus issue that week? But, as you said planning is done for you which is nice for someone who finds grocery shopping a dreaded chore after all these years. I didn't continue but am reconsidering after too many lazy nights of popcorn for dinner. lol! I tried Blue Apron for a week, Debbie. I thought the food was delicious and the plating looked remarkably similar to the picture on the card! Having said that, I found myself reading and re-reading the instructions to make sure I was following along properly. It wasn't complicated but I'm not used to working with so many ingredients so was a bit out of my comfort zone. I'm guessing this is something you get used to in time? The one negative for me was the mess. I don't prepare big meals very often so having to wash so many dishes and pans was not fun nor something I want to do nightly. I think I'll join you and try one of the other companies just for a comparison. As one who now views grocery shopping with disdain, it's a relief to have it done for me. I'm not sure if we have something like this where I live but I can see it being of interest to seniors who want to maintain their independence in the kitchen. No waste and recyclable packaging is a positive aspect. How interesting! The closest thing to Blue Apron in my area is called "Supper Works". But instead of having the ingredients shipped to you, you have to go to their "meal-preparation store" to assemble the meals (everything is washed and chopped up already). The gnocchi looks delicious! I have always wondered how those meal packages worked and if they were worth the money. It's a neat idea but I agree that there does seem to be a fair amount of wasteful packaging. I hope you'll let us know how the next service works out! Enjoy the week ahead!